In countries like Georgia, you can get a second residence with very little hassle. Of everything that I’ve published, my most popular articles are – by far – the ones that deal with getting an easy second residency. 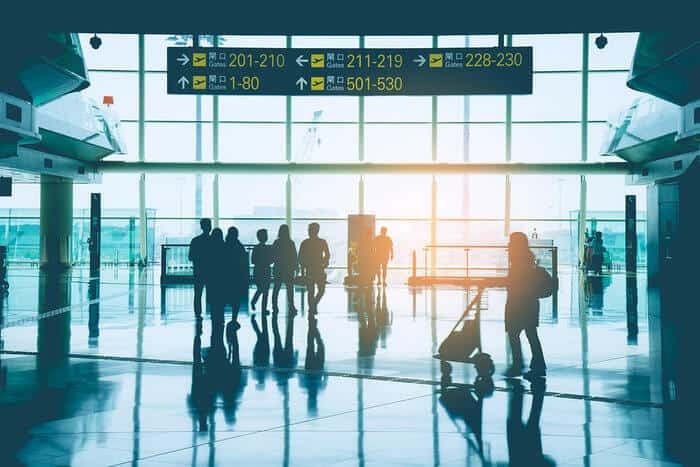 Whether it’s quick citizenship by investment programs or places where you can live tax-free, people love the idea of being able to get out of their home countries and establish residency somewhere new. A second residency can help you invest in new markets, legally reduce your tax bill, and enhance your passport portfolio, so getting an easy second residency can be a great first step in building a Nomad Capitalist lifestyle. In many countries, however, actually getting a residence permit can take quite a bit of work. If you want to immigrate to a country like Canada or Australia, you’ll likely need to have a job or make a significant investment in the country, and even then, you’ll be mired in paperwork for months – if not years – before you get your residence permit – let alone a passport. Fortunately, not all countries have such cumbersome immigration requirements. Many countries will gladly allow foreigners to easily establish residency – or even get citizenship – if they meet certain requirements or make an investment in the country. Issues to consider when you get a second residency. What Makes a Second Residency Easy? To establish residence in any country, you’ll have to do some amount of legwork. You’ll likely have to travel there, fill out a few forms, and – in some cases – make an investment. An easy second residency, then, won’t take years to square away – nor will it bury you in paperwork. However, you’ll need to put in some effort to show that you want to become a resident of that country. Second, you should also consider whether the easy option will get you what you actually want. The other day, I was speaking to a man interested in getting an easy second residency in Panama. You can find more information about Panama’s second residency program later in this article, but essentially, it’s relatively easy to establish residence in Panama through the country’s Friendly Nations Visa program. And, to maintain that residence, you only need to spend a handful of days in Panama per year. The man I was speaking to, however, wanted to use that second residency to get a passport in five years. While that might be possible if he decided to use his new residence permit to actually move to Panama, he wanted to do the bare minimum to maintain his residency, thinking he’d get a passport out of it. Unfortunately, that’s not how that works. I’ve known people who did exactly what he wanted to do, and many of them have been waiting 10 or 15 years for their Panamanian passports. So, even if a program seems easy, you shouldn’t pursue it solely for the sake of convenience. You need to consider the results that you want first. Panama is well-known for its easy second residency program for citizens of countries like the US and Australia. Finally, as you explore your options, you should think about what an easy second residency means to you. Some people might be looking for an easy procedure. They want to fill out one or two forms, pay a fee, and have their residence permit in hand as quickly as possible. For others, easy means cheap. If you’re still building your business, then you may not have $100,000 or more to invest in a country, or you may not want to put all of your wealth into a single investment. In that case, you probably want to look at countries that don’t require a minimum investment from potential residents, like Guatemala, or countries with low investment requirements, like Ecuador. Finally, easy might also mean low-maintenance. If you’re already living the Nomad Capitalist lifestyle, then you may be too busy to spend half of your year in one place, so an easy second residency for you might be one with minimal physical presence requirements. The fact is that everyone’s version of “easy” is different. While you might consider getting a second residence through property investment to be easy, an aspiring Nomad Capitalist might want to move somewhere with a low cost of entry. Therefore, you need to ask yourself what your needs are and what you want to accomplish before you start to apply for residence permits. Once you’ve considered what you want out of an easy second residency, you can then begin to explore your options. The following countries are some of the best and most popular places to get an easy second residency. However, keep in mind that this list isn’t meant to be exhaustive. Instead, I want to give you an idea of what’s out there and what could work for you. If you’ve had an easy experience immigrating to a country not included on this list, let me know in the comments – I’m always interested in hearing people’s experiences with getting residency around the world. Armenia is a rising market in Eastern Europe, which makes it an attractive second residence for Nomad Capitalists. In fact, I recently helped my fiancee get citizenship by descent there. If you don’t have Armenian ancestry, however, you can still establish residence there fairly easily. By investing in Armenian real estate or in an Armenian business, you can get temporary residence rather quickly, which puts you on the path toward permanent residence. Armenia has also flirted with a remarkably cheap citizenship by investment program, but nothing has come of it yet. While you will need to invest a sizable amount of money to qualify, it’s quite a bit less than other residency by investment options, making it more attainable for most people. If you could live tax-free on an island in the Caribbean for just $1,000 per year, would you do it? Chances are, the answer is yes. The Bahamas is one of just 15 tax-free countries in the world, and it’s surprisingly easy to get a residence permit there. To get a temporary permit, all you need to do is fill out a few forms and write a check for $1,000. Seems too good to be true, right? It is – to an extent. You can get a tax-free second residence in the Bahamas rather easily – if you have the money. Recently, the Bahamian government has cracked down on foreigners using temporary residence permits for years on end. So, while you might be able to get a temporary permit for a year or two, you’ll need to make a larger investment – to the tune of $250,000 or more – if you want permanent residence in the Bahamas. Getting a second residency in the Bahamas is thus relatively straightforward, but you’ll need quite a bit of money to settle there permanently. Two years ago, I wrote an article about how Cambodia has one of the easiest and cheapest second residency programs in the world – and that’s still true today. In fact, the process to become a Cambodian resident only has two steps. First, you arrive at the border and get a business visa on arrival for $35. Then, once you’ve entered the country, you can pay $300 to a “fixer” to get a 12-month residence permit, which you can easily renew each year. 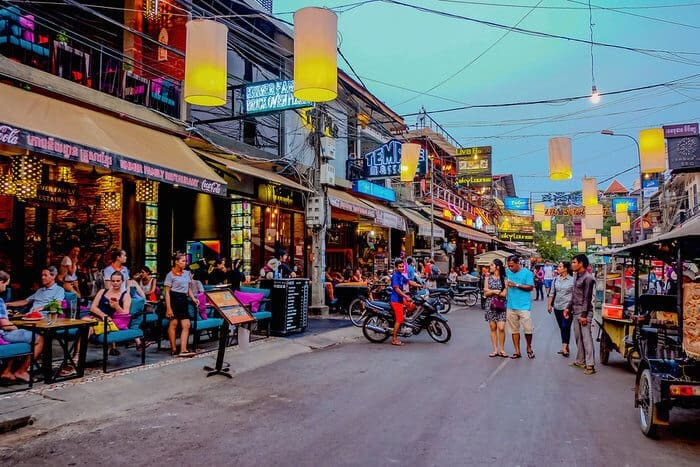 While getting a residence permit for less than $400 per year is a pretty sweet deal, you should keep in mind that getting a second residence in Cambodia isn’t the right choice for everyone. You likely won’t ever get citizenship there, and frankly, it’s a developing country, which isn’t ideal for many people. For less than $400, you can get a second residence in one of the best frontier markets in the world. However, if you aren’t looking for a second passport and don’t mind the occasional Tuk Tuk ride, a second residence in Cambodia gives you access to a great frontier market as you build your Nomad Capitalist lifestyle. Like the Bahamas, getting a residence permit for the Cayman Islands is easy but expensive. 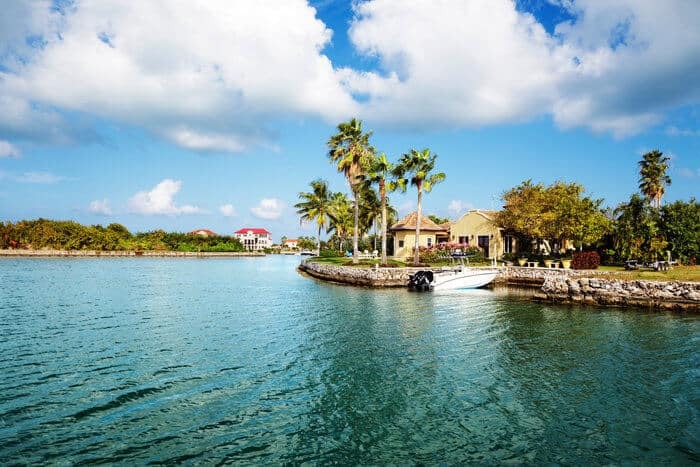 To become a resident of Grand Cayman, you’ll need to have an income of at least $145,000 per year and – on top of that – you’ll need to invest at least $600,000 into real estate. Those requirements aren’t as steep for some of the smaller islands, but you’ll still need to invest at least $300,000 to even be considered for a temporary permit. If you do have the cash, however, establishing a second residence in the Cayman Islands is quite easy. Like much of the Caribbean, you won’t need to do much to get or maintain residency on the Cayman Islands – but you’ll need to be willing to part with quite a bit of money. If you want a second residence that allows you to obtain citizenship in less than a year, head to Cyprus. Thanks to its government’s efficiency and its high-quality passport, Cyprus has consistently ranked among the best citizenship by investment programs. However, like many high-quality citizenship by investment options, you’ll need quite a bit of capital to get a Cypriot passport. To qualify for citizenship by investment in Cyprus, you’ll need to invest €2 million in real estate, a local company, government bonds, or a local bank, and you’ll need to maintain a €500,000 home in the country to keep your passport. So, while getting a second residency and passport in Cyprus is quick and simple, it’s not cheap. If you can’t quite afford a residence permit in the Bahamas or Cyprus, then Ecuador might be a more attainable alternative. 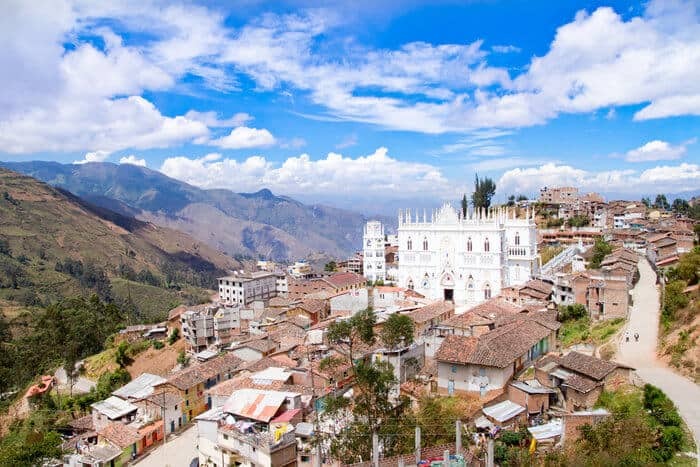 If the price tag for a residence permit in the Caribbean or Europe is a bit too steep for your taste, then you may want to consider getting an easy second residency in Ecuador. To get residency by investment in Ecuador, you only need to invest around $27,000 in real estate or an Ecuadorian bank, or you can invest $30,000 in certain types of industry. While that’s not exactly cheap, it’s a bargain compared to other investor residence programs. You can also retire in Ecuador rather easily as well. To qualify for a pensioner residence permit, you only need to bring in $800 per month. Plus, after maintaining your residence in Ecuador for three years, you’re eligible to apply for citizenship. Although getting permanent residence in Ecuador isn’t as cheap as in other Latin American countries, it’s a bit less expensive than other residence by investment programs. I’m a big fan of Georgia for many reasons. Between its free markets and opportunities for real estate investment, Georgia is an underrated – but highly attractive – option for getting an easy second residency. Nearly all foreigners can get a year-long tourist visa to Georgia, and if you decide to get residence there, all you need to do is start a company that hires local workers or invest in around $35,000 worth of real estate. From there, the process to get residence is simple and efficient, and you can apply for a passport after six years. With a low minimum investment, getting a second residence in Georgia can be an excellent option if you’re just starting to build your Nomad Capitalist lifestyle. Do you make at least $1,000 per month? If you’re reading my blog, then chances are the answer is yes, and you can qualify for a residence permit in Guatemala. 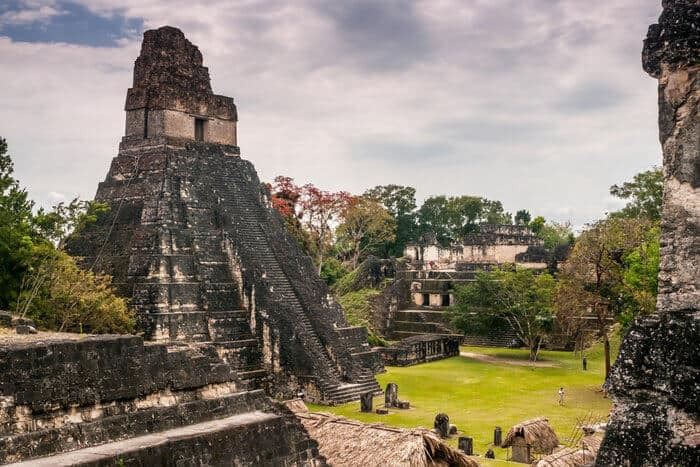 If you make more than $1,000 per month, then you can spend your days exploring the Mayan ruins and jungles of Guatemala. With low minimum income requirements and a quick application process, Guatemala certainly qualifies as an easy second residency. It’s also one of just four Latin American countries that offer territorial taxation, which can bode well for your global tax strategy. Unfortunately, there’s a catch – to maintain your Guatemalan residence and be eligible for citizenship, you need to spend the majority of your time in the country. Otherwise, your residence permit may be canceled. With Portugal’s Golden Visa Program becoming more inefficient by the minute, investors looking for EU residency have turned to Latvia. If you want to become a resident of Latvia, then you can invest €500,000 in property, pay roughly €25,000 in processing fees, and fill out a couple of forms to get your five-year residence permit. You can also get residency by investing a similar amount in a Latvian business or a local bank. Getting a Latvian Golden Visa certainly isn’t cheap, but it’s a rather simple process and comes with a number of important benefits. First, there’s no physical presence requirement to maintain your Latvian residency. In fact, you only need to spend a day in the country per year to keep your residence permit. Latvia is also a part of the European Union and the Schengen unified customs area, so as a Latvian resident, you have all of the rights of EU residence as well as visa-free access to other Schengen countries. You’ll also be eligible to apply for Latvian citizenship after 10 years. If you do plan on getting Latvian citizenship, however, you should plan to live there for at least six months out of the year in the five years prior to your citizenship application. If you’re able to afford it, Latvia’s Golden Visa Program is a good option for people who want an easy second residency in the EU with a path to citizenship. 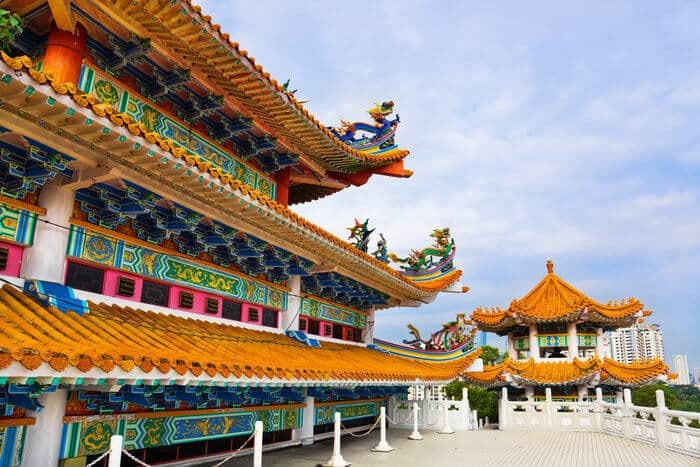 If efficiency is what you’re looking for when getting an easy second residency, then Malaysia may be the right choice for you. Malaysia’s MM2H visa program allows foreigners to obtain a 10-year residence permit if they meet certain health and income requirements and make a deposit in a Malaysian bank. I actually have an MM2H visa, and as someone who’s gone through the application process, I can attest to just how efficient it is. To apply, you only need to visit the country and fill out a couple of forms. Then, after waiting for approval, you return to Malaysia, pay a fee, deposit your money, and you have your visa. However, this level of efficiency comes at a price. If you’re under 50 years old, then you’ll need to have at least $122,000 in your bank account when you apply, and you’ll need to have a monthly income of around $2,500. These requirements are a bit less steep if you’re 50 or older. You either need to prove that you have around $85,000 in liquid assets OR that you have a guaranteed income of $2,500 per month. Malaysia’s MM2H residence visa can give you an easy home base in Southeast Asia. Then, to secure your permit, you need to make a deposit in a Malaysian bank. If you’re under 50, then you need to deposit around $75,000, but if you’re over 50, your minimum deposit is just $37,000. Getting an MM2H visa does require a decent amount of money, but it’s a lot more affordable than one of Europe’s Golden Visa Programs, and it comes with some unique benefits, such as the ability to import your car duty-free. If you want to get an easy second residency in Europe through a cheap real estate investment, head to Montenegro. As a current resident of Montenegro, I can confirm that the process of getting a residence permit is fairly straightforward. All you need to do is buy just about any habitable property and apply for a one-year residency. While you’ll need to renew your permit, the process to do so is rather simple, and the Montenegrin government is quite friendly to foreign investors. There’s also no minimum investment for your real estate purchase, and a decent apartment near the sea can cost as little as $30,000. Getting residency through a cheap real estate investment in Montenegro is thus surprisingly easy, but if you go this route, you won’t be eligible for citizenship. If you do want a Montenegrin passport, the country has recently launched a citizenship by investment program. However, with a minimum investment of at least €350,000, getting a Montenegrin passport is far more expensive than a residence permit. Personally, I don’t think that citizenship by investment in Montenegro is worth the cost since its passport is rather weak, but if you’re dying to become a Montenegrin citizen, you now have the option of doing so. If you’re an aspiring Nomad Capitalist, then getting an easy second residency in Nicaragua can be an excellent way to help you build wealth. Living in Nicaragua is incredibly cheap. In fact, you can live quite luxuriously for under $2,000 per month – and with all of those savings, you can invest in dirt-cheap property or the country’s growing tourism sector. Nicaragua also uses a territorial tax system, which can help boost your global tax strategy. Obtaining a residence permit in Nicaragua is also remarkably easy. All you need to do is prove that you earn more than $750 per month. While you’ll need to deal with some paperwork, bureaucrats in Nicaragua are surprisingly helpful. If you have issues with certain documents, they’re usually happy to provide above-board assistance for a nominal fee. 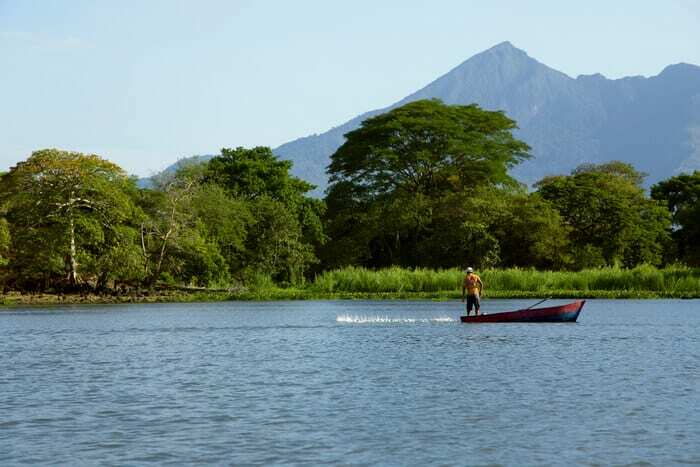 Nicaragua can be a great place to launch your Nomad Capitalist lifestyle. However, to maintain your Nicaraguan residence, you’ll need to be willing to live there for six months out of the year. Nicaraguan residence thus may not be the best option if you’re a frequent traveler, but if you’re willing to commit to living there, Nicaragua can be a great place for you to start building your business. With its strong offshore banking sector and low cost of living, Panama is one of the best places to get an easy second residency. 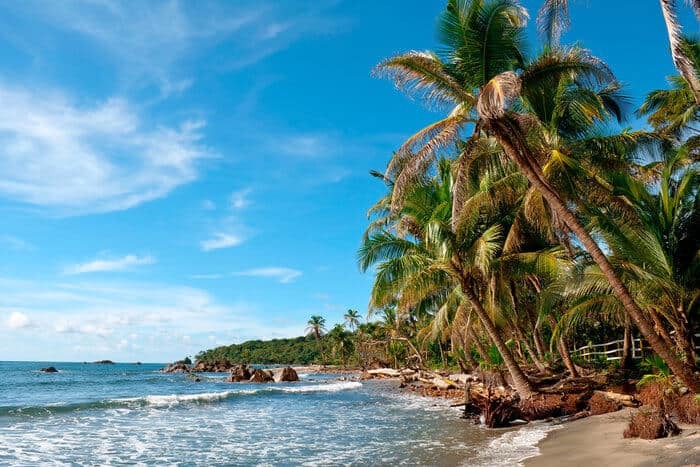 Panama’s Friendly Nations Visa program offers near-instantaneous second residency for citizens of most western countries if you’re willing to deposit $5,000 in a Panamanian bank and establish a Panamanian company. 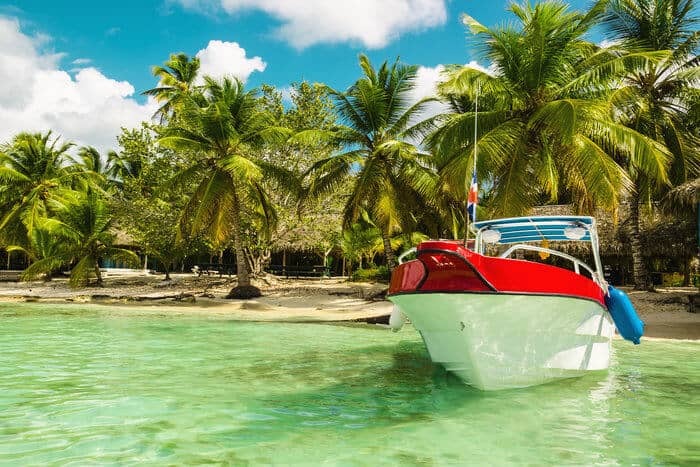 You can also become eligible for citizenship in just five years, but you’ll need to spend most of your time in Panama if you’re interested in a Panamanian passport. However, if you’re not seeking citizenship, you only need to spend a day or two there per year to keep your residence permit. That’s a substantial improvement over similar programs in Latin America, which often require you to stay in the country for most of the year. Panama therefore gives you the best of both worlds with minimal investment and physical presence requirements. Like Panama, Paraguay will allow you to instantly obtain permanent residence with a simple bank deposit of $5,200. For the most part, getting an easy second residency in Paraguay comes with many of the benefits that other Latin American countries have, such as a low cost of living and a territorial tax system. What sets Paraguay apart is that the country allows you to apply for citizenship after just three years of residence. Just because you’re eligible to apply, however, doesn’t mean that you can actually get a Paraguayan passport in three years. Although Paraguay’s permanent residency program is quite efficient, its naturalization process is a classic example of South American bureaucracy – and finding a good lawyer to help you is near-impossible. Paraguay, then, may be a great place to get an easy second residency, but I wouldn’t count on getting a second passport there. 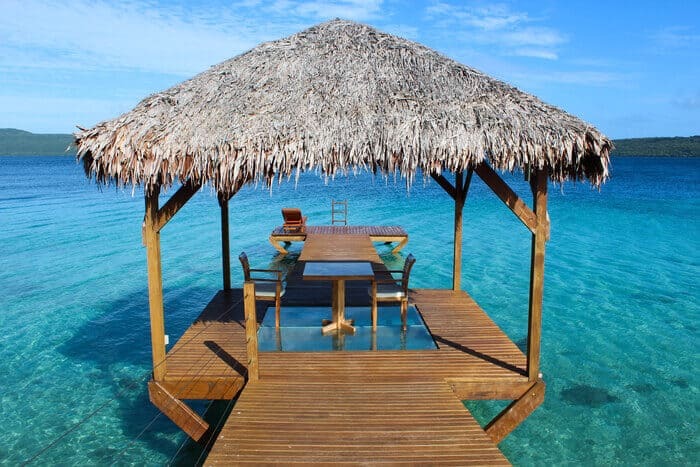 With minimal bureaucracy and plenty of interesting investment options, Vanuatu’s residency and citizenship by investment programs can be an excellent choice for a tax-free second residence. Just a few years ago, getting residency in Vanuatu was a convoluted mess. However, the country revamped its residency and citizenship by investment programs, and today, they’re among the most efficient in the world. Foreigners can obtain a renewable one-year residence permit in exchange for an $89,000 investment in real estate or agriculture. For a larger investment, you can get a residence permit that’s valid for up to fifteen years. Vanuatu’s citizenship by investment program is even simpler. For a one-time fee of $200,000, you can have a passport in as little as two months – and now, you can even pay in Bitcoin. While Vanuatu doesn’t have the cheapest citizenship by investment program, it’s one of the most efficient, and with visa-free access to over 120 countries, it’s an attractive passport to have. If you’re looking for a tax-free second residency outside of the Caribbean, I highly suggest heading to Vanuatu. As you think about getting an easy second residency, you should always keep your overall strategy in mind. Issues like taxes, potential for citizenship, quality of life, minimum investments, and physical presence requirements are all items to consider when you decide to establish residence anywhere – regardless of how easy the process is. However, with these easy second residency programs, you need to consider an additional factor – permanence. The problem with many cheap and easy residence programs is that you simply don’t know what the government is going to do in a few years. While you may be able to get away with meeting minimum residency requirements now, that may change as these programs become more popular. For example, Uruguay’s residency program used to be quite liberal, allowing you to maintain a paper residence with a minimal investment and a yearly visit to renew your permit. In recent years, however, Uruguay has tightened its residence and citizenship requirements. Now, in order to maintain Uruguayan residence and be eligible for citizenship, you have to actually invest a substantial amount of money in the country or spend the majority of your time there. 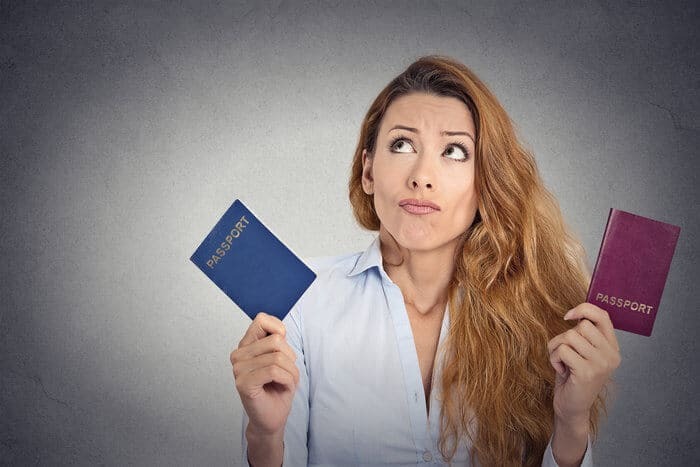 So, if you choose a low-commitment, low-investment option, you should be aware that you may not be able to get a passport – or even maintain your residency – if the government changes its policies. This uncertainty is why I usually recommend that people spend the money to get residence by investment. Unless you plan to actually move there, residence by investment offers more stability than other easy second residencies while still allowing you to fulfill bare-minimum physical presence requirements. While getting a second residency with minimal effort may seem appealing at first, it may not be in your long-term best interest. Forget about Nicaragua for a while (read the news about it) and add Costa Rica. Easiest in the world? That goes to my home for now, Svalbard. Anyone can fly in, fill out a ONE PAGE form at the tax office, prove a livable income, done…residency granted. 8% flat income tax. Must continually live here to maintain it though. How come you never mention Svalbard? You forgot one major one that takes 1-2 years and costs very little. If you are Jewish (or convert even through reform) and Israeli passport is your right (provided you satisfy a few requirements), the fun part is that they pay you money to help you get set up. I would like to know whether UAE or Oman in the Middle East can be considered as tax heavens by investing in a simple real estate? I live in the Mide East and hence am aware of it since it is well advanced in its life style yet not very expnsive. Why I ask this is because, I really want to know if one wants to save his money, is Middle East an option, since banking returns are not something heard of. I would like to know about the israeli passport. I am a Nigerian and am interested in any of panorama or Paraguay.